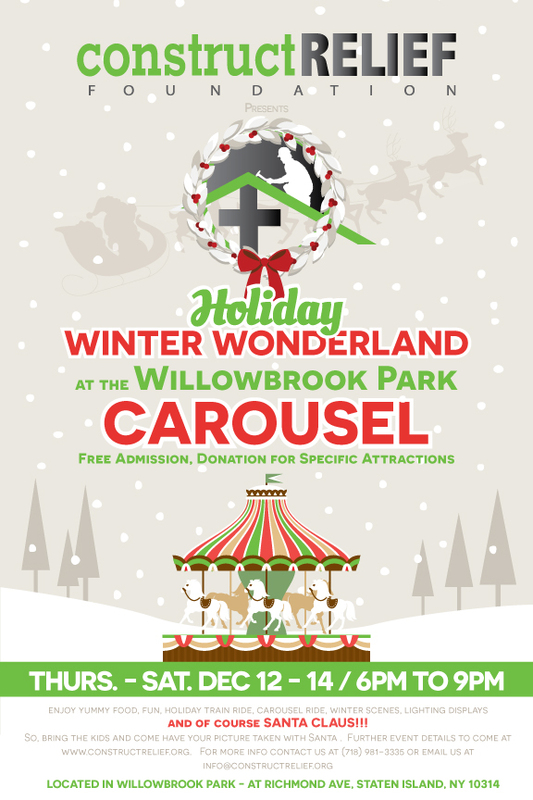 The ConstructRELIEF Foundation presents a Winter Wonderland at the Willowbrook Park Carousel. We have partnered with the NYC Parks Department, and Greenbelt Conservancy to re-open the Carousel for 3 Magical Nights in December. This year ConstructRELIEF is celebrating a special Winter season with hopes of returning the Holiday Spirit to Staten Islanders who’s Holidays was unfortunately disrupted last year by Hurricane Sandy. and of course SANTA CLAUS!!! So, bring the kids and come have your picture taken with Santa. This event is for three (3) evening only from Thursday to Friday, December 12 – 14th, 6pm to 9pm. The Carousel is located in Willowbrook Park – At Richmond Ave, Staten Island, NY 10314. We look forward to celebrating the Holidays Spirit with ALL of Staten Island residents and New York City! 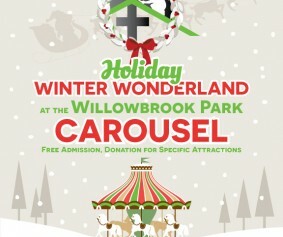 For more information about the WILLOWBROOK PARK CAROUSEL please click here.